Lee Tergesen plays real estate developer Peter Collins in this independent movie shot in November-December 2011 in and around Seattle, Washington. IMDB describes it as "an innovative hybrid film about a real estate developer who mysteriously disappears into the Southwestern desert in 1992, leaving behind a series of VHS tapes. Without the aid of the police, his distraught wife hires a private investigator to track him. Based on a true story, this dramatic narrative blends actual archival materials and found footage to create a unique cinematic experience." The movie debuted at the Seattle International Film Festival in May 2014 and has been making the rounds of other film fests nationally and internationally. In August 2014, it won first prize for Best Feature at the Rhode Island International Film Festival and had its international premiere in October 2014 at the American Film Festival in Wroclaw, Poland. Desert Cathedral was written and directed by Travis Gutiérrez Senger and produced by Senger, Michael J. Mouncer and Chip Hourihan. Locations throughout Seattle and Eastern Washington state were utilized to depict the west and southwestern United States. "We discovered some very interesting materials from the real life Peter Collins, who was the basis for the film, including the actual tapes he recorded along his journey, as well as his family archives. These materials were so revealing, they prompted me to initiate an additional round of filming and editing. We shot for another week with Lee Tergesen. ... The film has evolved from simply being based on a true story to an innovative hybrid where reality and fiction blur." Petra Wright portrays Annah Collins, the wife of the missing man. She hires private investigator Duran Palouse, played by Chaske Spencer of the "Twilight" films. In today’s age of social media and surveillance drones, it’s difficult for a person to drop off the grid. But 20 years ago, before the internet and cell phone coverage, vanishing from society was a relatively simple act—one that was tried by real-life Seattle real-estate developer Peter Collins. In 1992, facing massive debt from a bad housing deal, Peter ran off to the open spaces of the desert Southwest, leaving behind a series of cryptic VHS tapes in an attempt to explain his disappearance. 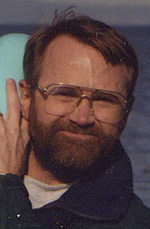 In this dramatization and expansion of the real story, Peter, played by Lee Tergesen, makes a video diary that he sends back to his family. After getting nowhere with the police, his distraught wife Annah (Petra Wright) hires private investigator Duran (Chaske Spencer), to track him down. After locating Peter, Duran poses as a friendly local in an attempt to understand Peter’s state of mind—a tactic that leads to tragedy. 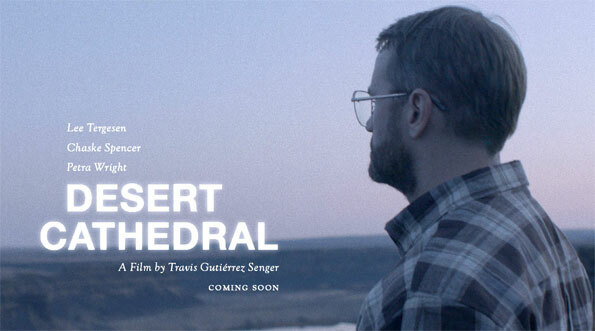 Desert Cathedral has been called a “hybrid film” for its blend of stunning cinematography—with the Dry Falls region of Central Washington standing in for the Nevada desert—plus actual footage from Peter’s tapes and Collins family home movies. The effect created by director Travis Gutiérrez Senger feels like a documentary but conveys the drama and emotional impact of a fictional narrative about identity, escape, and the relationship between man and nature. 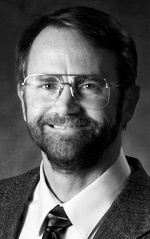 Tergesen’s own performance ... is nicely layered. The film never attempts to ennoble Collins’ suicidal intentions, but neither does it shy away from them. At times, he seems right on the verge of giving the whole thing up and heading back home to rejoin his family and face his demons. He takes diversions to drink, drive, light off fireworks, take in a pretty desert vista, and, most tellingly, reveal (on video) a few more details of the problems that drove him to his decision. The result is a film that falls somewhere between mystery, tragedy, and travelogue, with a sufficiently interesting character at the center of it.